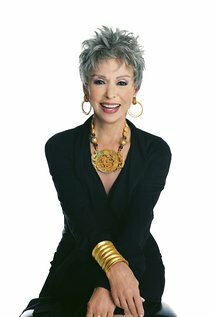 Actress and singer Rita Moreno fought typecasting and industry pressure to go on to be the first Latino to win an Oscar, Tony, Emmy and a Grammy. (In fact, she has won two Emmy Awards, a Golden Globe Award, three ALMA Awards, an ALMA Lifetime Achievement, a Kennedy Center Honor, a Star on the Hollywood Walk of Fame, a SAG Lifetime Achievement Award, and an HOLA Lifetime Achievement Award.) Moreno gives her Brief But Spectacular take on a lifetime in show business, including a excerpt of the song "This Is All I Ask" done a cappella (courtesy of "PBS NewsHour"). One can see more by clicking on the video below.